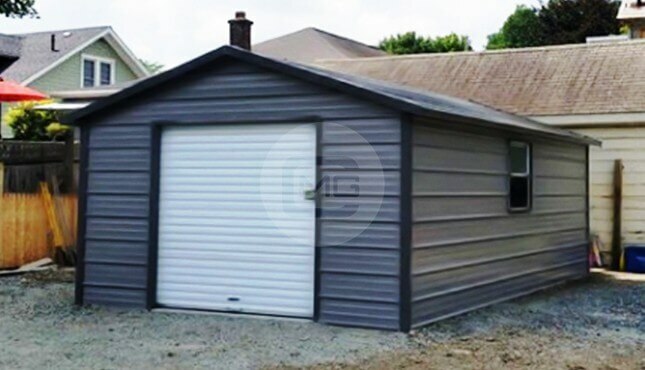 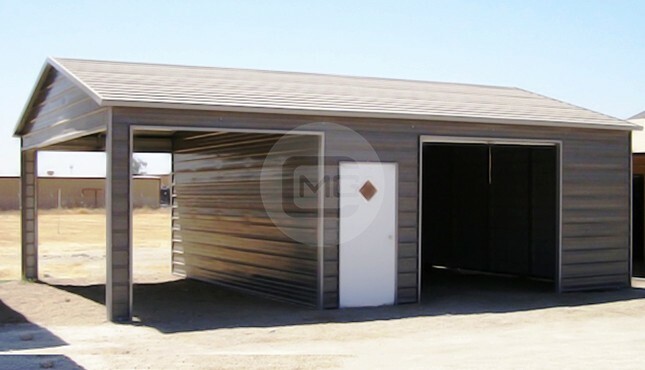 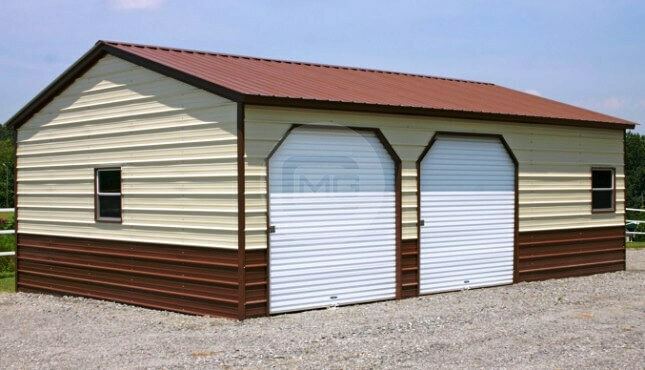 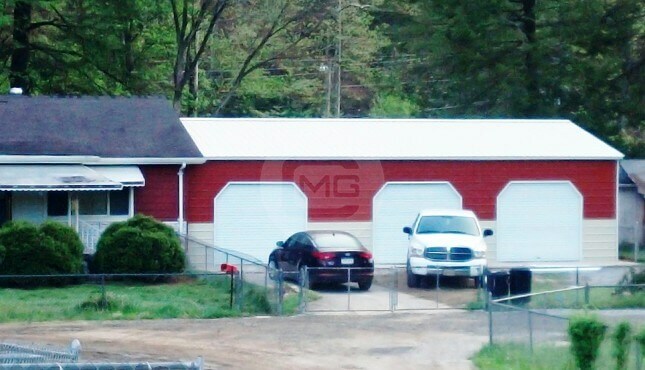 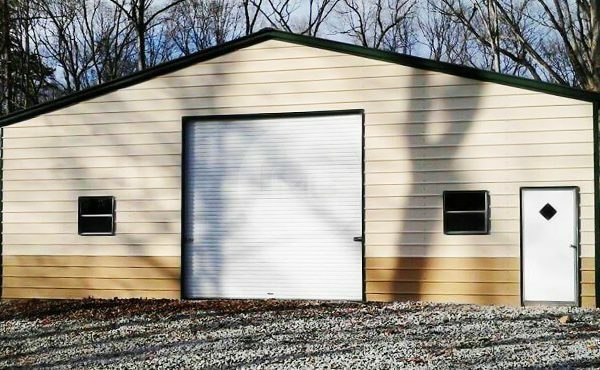 This custom metal garage is 30x21x11′ and offers convenient access with a large 10×10′ door and a walk-in door. 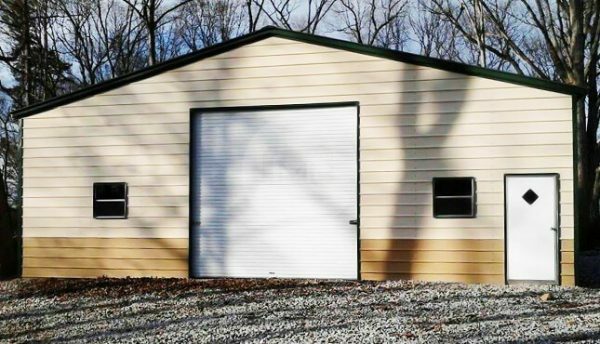 Two windows on the entrance site provide natural light. 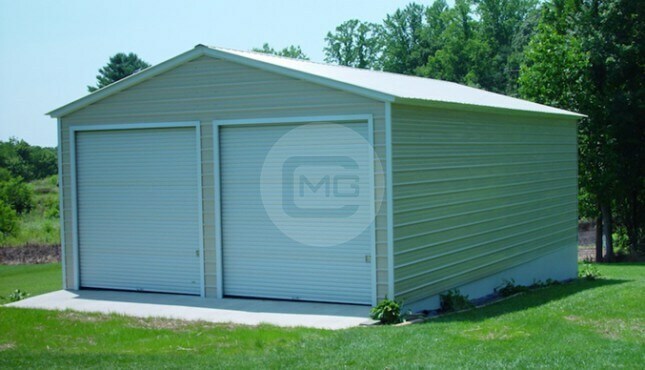 This standard type, 14-gauge steel garage features horizontal side panels for a look that is consistent with that of a home. 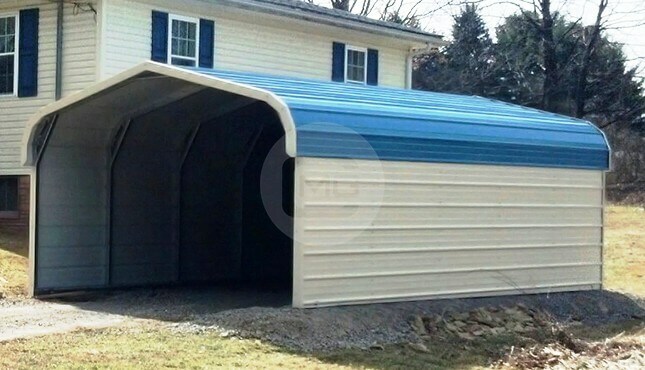 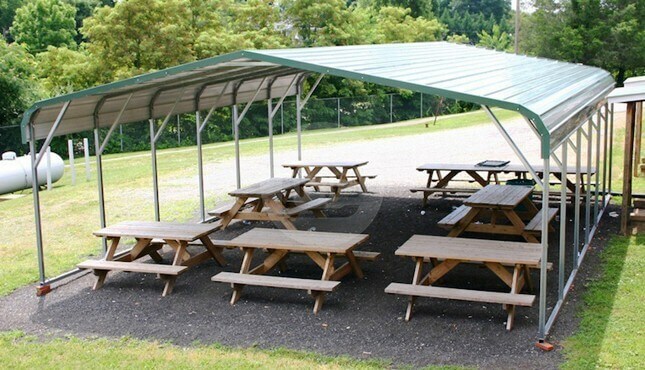 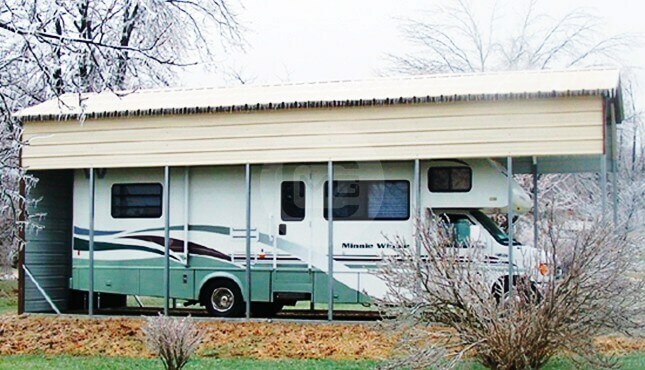 The vertical roof style is designed to hold up to snow/wind loads in any part of the United States.